New! Hearts Tuned In album now available. Click Music to Listen. Click Shop to Buy. Welcome to the web site for Bhagavan Kirtan! 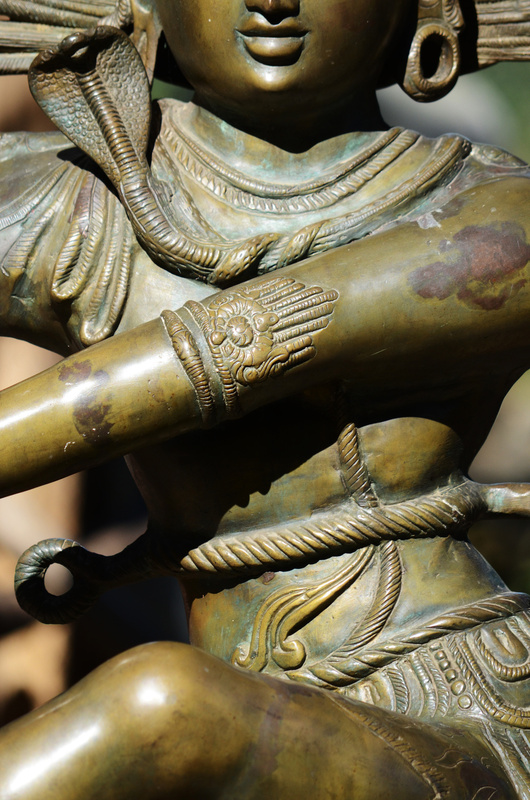 …sacred singing and chanting in Sanskrit that opens the heart. Kirtan is a tradition of call and response singing in the devotional branch of yoga — bhakti yoga. Kirtan produces transcendent, meditational experience, and inspires a marvelous energy. Bruce and Kris began Bhagavan Kirtan! in 2011 to bring their passion for Kirtan music to Colorado Springs, Colorado. Through original musical arrangements of ancient Sanskrit mantras and employing a variety of instrumentation, Bhagavan Kirtan! creates a unique and powerful Kirtan experience. Bruce and Kris enjoy playing with local musicians and frequently invite their talents to join them at special events. Freshly recorded at a recent live event. Use the left and right arrows that appear when you hover over the video screen or click on the dots below to select the video you want. Bruce fell in love with Kirtan in 2006. Now he devotes his life to writing, arranging, and playing Mantra Music. He has presented concerts with nationally known Kirtan artists such as Shantala and David Newman in Colorado Springs, and formed Bhagavan Kirtan! 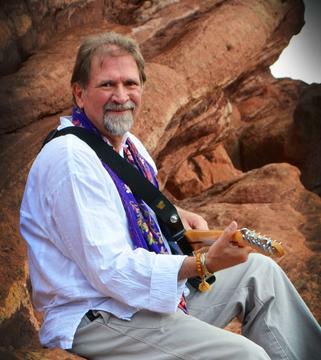 with Kris to further his vision of bringing Kirtan to the Pikes Peak region. Vocals, Harmonium, Percussion Kris began singing Kirtan chants to her boys when they were young. 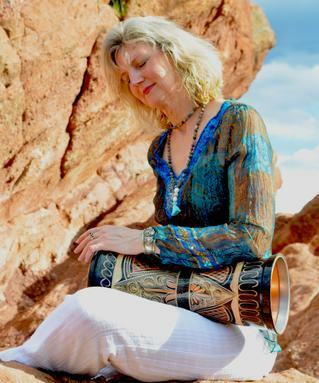 She especially enjoys playing Kirtan music with a group, and sharing as the energies meld into beautiful Oneness. Her background in dance and movement, along with her experience as a yoga instructor inspire her drumming style. 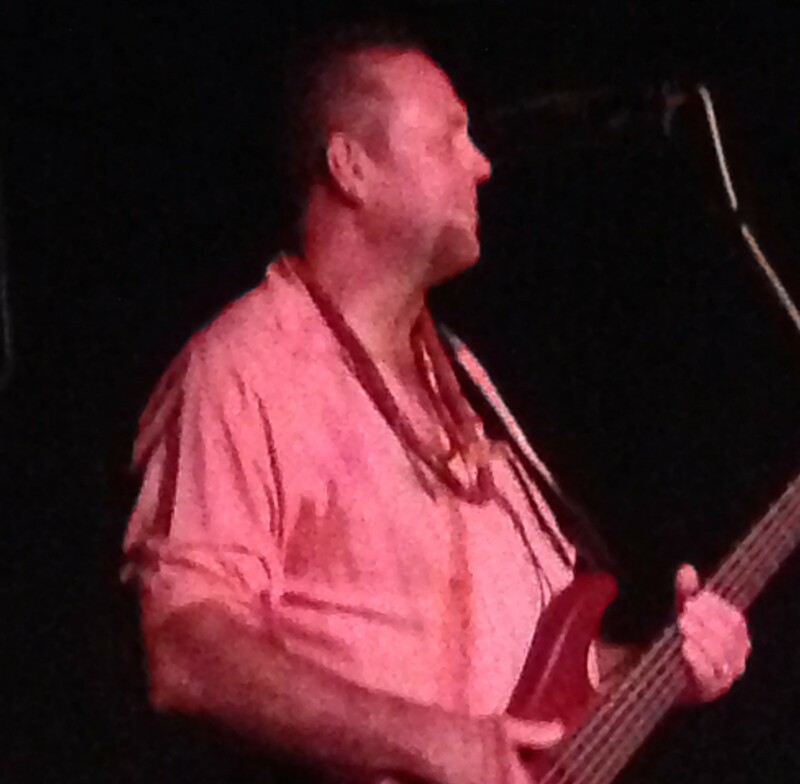 Bass, Vocals Mark discovered Kirtan when he attended a Bhagavan Kirtan! concert. After the show, he approached Bruce, “How about some bass?” Playing guitar, bass, keyboards, drums, and singing, he enjoys filling the ancient chant with the bass end of the modern groove whenever possible. What do I do at a Kirtan? What are we singing about? House Concert with Bhagavan Kirtan! Bring the Bhav into your space! Learn more about house kirtan concerts. Contact us to play in your home or venue. Coming soon to Root: Center for Sacred Studies!! Get updates on concerts, events, and new music. Are you nervous about chanting or unsure what kirtan is? It’s typically chanted in a call and response format, as the leader sings a phrase and the group sings it back over and over again. Kirtan is a form of devotional yoga and leans toward the spiritual side of yoga, allowing you to connect with your own divinity. You’re not required to chant at all if you’re not comfortable with it, but either way, you’ll undoubtedly find the energy in the room incredibly uplifting and enjoy the beautiful experience of kirtan! Kirtan is for all people. There are no experts, no beginners. The practice itself is the teacher, guiding us to ourselves. Kirtan allows us to enter into a mystery world: a world where all the logic of our minds and all of the conditioning are left aside. With Kirtan, we create a temple inside the altar of our hearts: a place of refuge, a place of love, and a place of just being. I loved your Kirtan, I went home and I felt so amazing! I told my husband that it was the closest to God I had ever felt. Join our email list to get updates on concerts, events, and new music. You’ll get several emails a month but never more than one a week. We’ll never share your private information nor spam you. Bhagavan Kirtan! Hearts Tuned In Sanskrit mantra combined with live music clears the conscious mind and opens the heart, leading us to a sacred and truly transcendent state. 1. Om Gam Ganapataye Namaha (11:08) 2. Om Tare – All This Love! (6:51) 3. Chamundaye Kali Ma (12:57) 4. Govinda Jaya Jaya (7:01) 5. Jaya Kali Ma (8:04) 6. Radhe Shyam – Hare Krishna (10:14) Recorded live on a snowy April Sunday at Unity Church of the Rockies in Colorado Springs, Hearts Tuned In is our prayer with you. Click now to browse and buy from CDBaby. Sign up for updates and announcements. 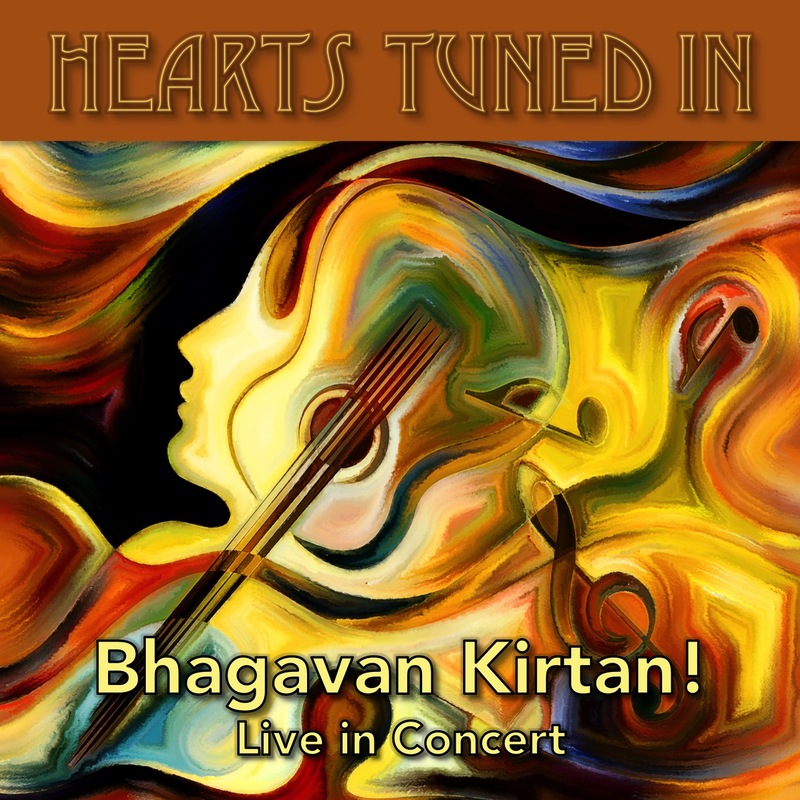 Copyright 2015 Bhagavan Kirtan! All rights reserved.